Why Combining at the Observation Level? Space geodetic techniques have different strengths and weaknesses for recovering geodetic parameters which makes their combination useful. However they may have some systematic behaviour which can be detected and removed at the observation level. 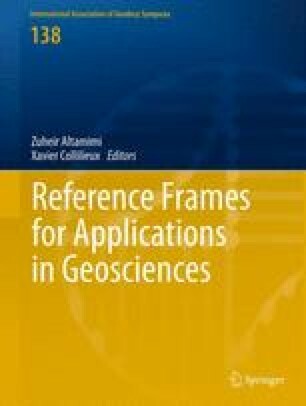 In order to review the interest in combining techniques at this level, a Working Group was set up in the course of 2009 in the frame of the International Earth Rotation and Reference Systems Service (IERS). A major task of the WG COL is to study methods and advantages of combining space geodetic techniques (DORIS, GNSS, SLR, VLBI), searching for an optimal strategy to solve for geodetic parameters. The first action of the Working Group was to organize an inter-comparison benchmark campaign to serve as a test. The period chosen is from August 10 to August 30, 2008. It includes the intensive CONT08 VLBI period. The combination analyses are based on weekly (or daily for VLBI) combined SINEX files which contain normal equations of station coordinates, Earth Orientation Parameters from all space geodetic techniques, quasar coordinates for the VLBI technique and troposphere parameters for all techniques except SLR. The objectives of the present paper are twofold: first give an overview of the method, present the objectives and strategy of the newly born working group COL; second to present some preliminary results obtained by the Groupe de Recherche en Géodésie Spatiale (GRGS) for Earth orientation parameters. The authors were supported by the CNES under a specific grant. We thank S. Loyer, F. Deleflie, L. Soudarin, H. Capdeville and J.M. Lemoine for their contributions at various levels. ECMWF data used in this study have been obtained from the ECMWF Data Server. We thank the reviewers for their valuable suggestions and comments that helped to improve the paper.